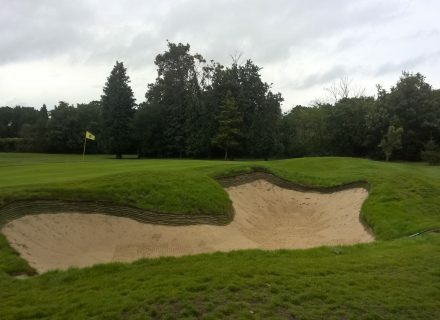 Coombe Wood GC, England is a typical parkland course. The course, on the exclusive Coombe Estate near Kingston upon Thames, was conceived by Prince George, Duke of Cambridge, and his two younger sons. 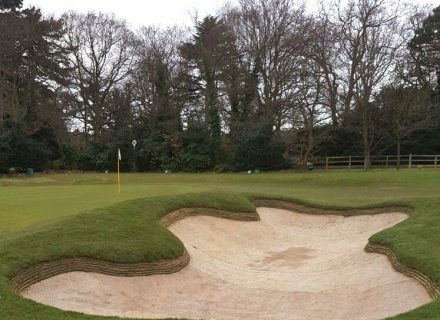 It opened for play as a nine-hole layout in 1904, expanding to 18 holes in 1922. 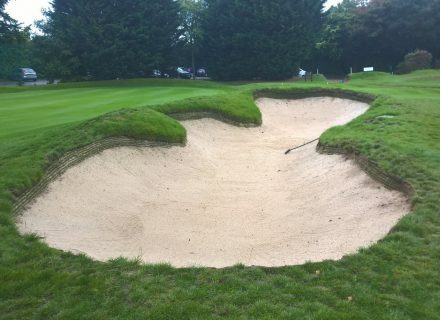 Bunkering on the golf course was similar to many parkland settings, where original designs had been eroded over decades, edging work eventually changing the shape and design of many bunkers quite significantly, animal damage and general ware and tare leaving the bunkers in a sub-standard condition. 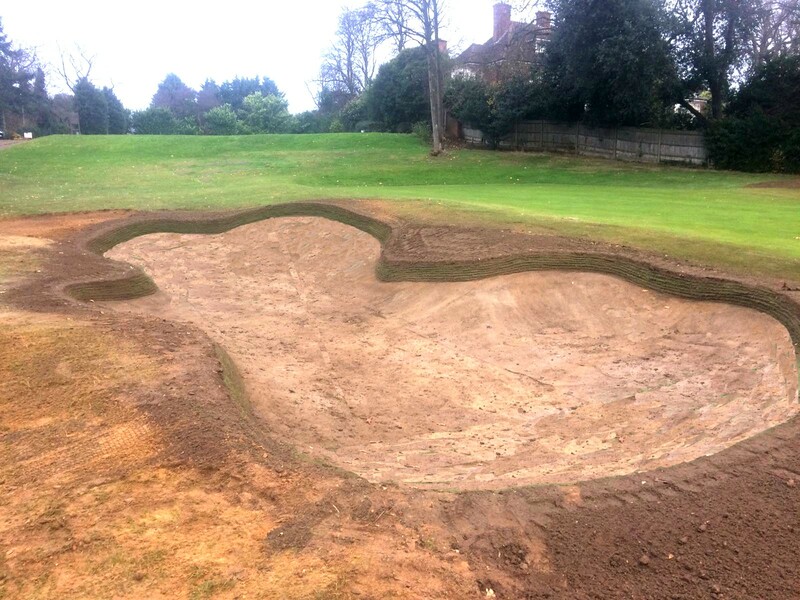 Durabunker Ltd won the contract to remodel bunkers after meeting with the club in the Summer of 2016. Design ideas were shared and a combination of liner and synthetic edge installed by the Durabunker team according to MD, Rhydian Lewis’s design ideas. 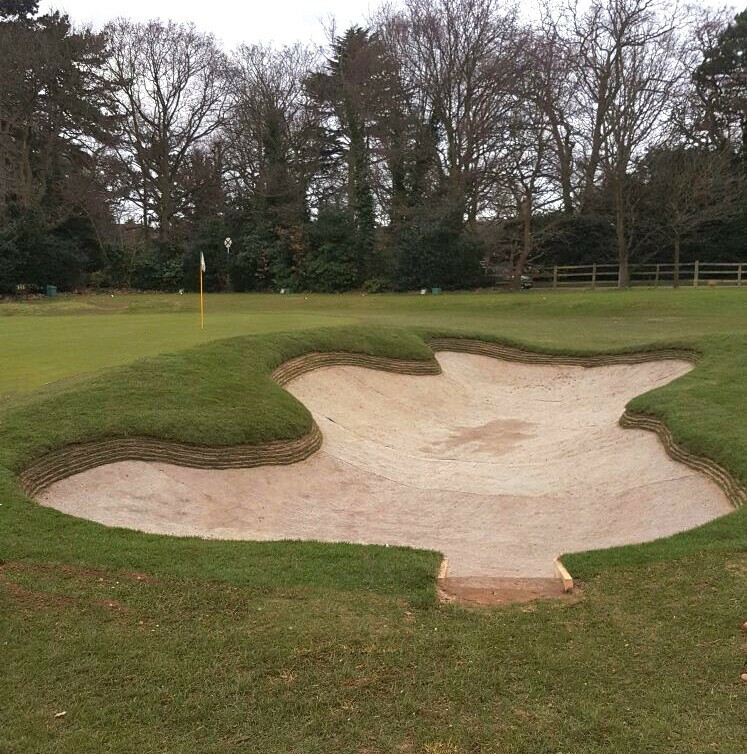 Shallow edges of no more than approximately 200mm / 8″ were installed along with our a fabric liner supplied by Durabunker. 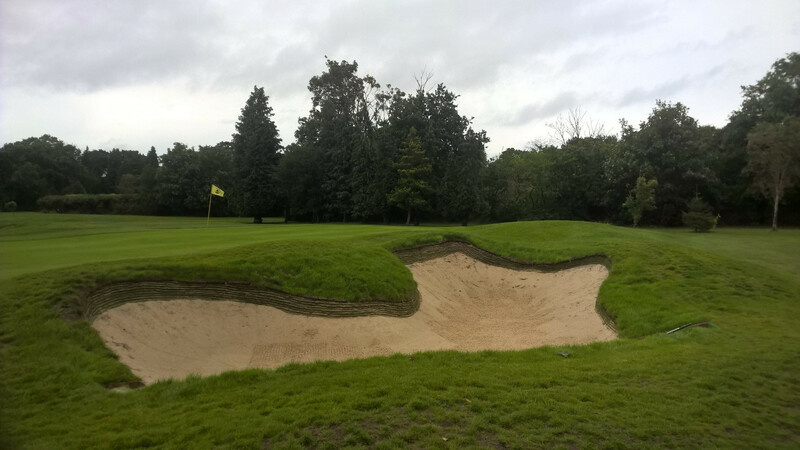 The Coombe wood team continued the renovation in house using their own staff to build further bunkers with Durabunker staff supporting the project through site visits to review progress and share further design advice. 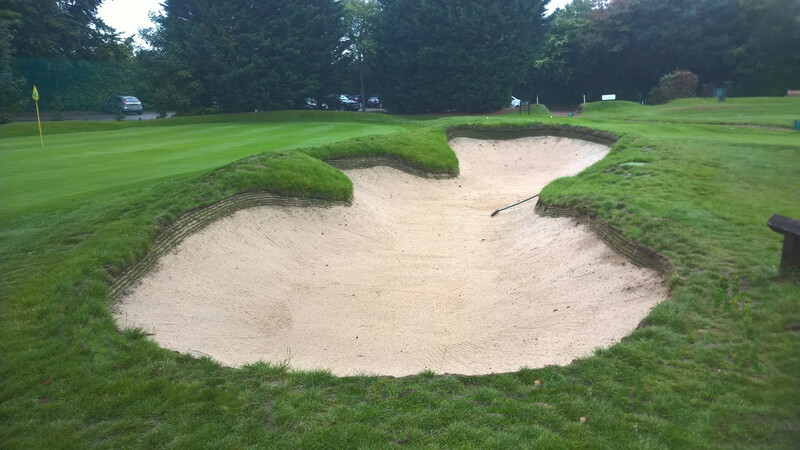 The design and install work carried out by the Durabunker Team has totally transformed our bunkers. 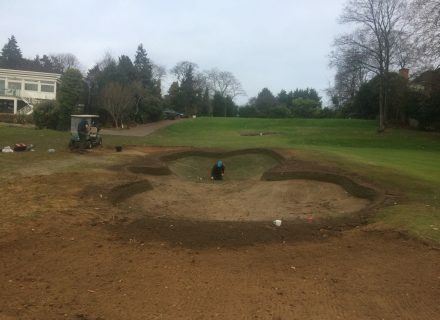 I can’t believe how good they look. Small changes such as lifting the sand faces 12″ and giving then rolling edges has made such a difference to the visual aspect of the golf course, the imagination shown by Rhydian and his team was awesome and to watch them work was a real education. We have also appreciated the support we have received following the initial stages of the project and look forward to continuing a long term partnership with Durabunker.